Healthy, High Protein Recipes, Healthy Cooking Tips and More! Grab yourself an apron and let's get cooking! Stella will teach you how to cook healthy, well-balanced meals for you and your family. The delicious meal and snack selections emphasize protein intake and the consumption of minimally- processed complex carbohydrates. Stella's Kitchen does not promote any "secret" diets, 30-day solutions, or try to sell you any gimmick products and false hope. What this site does promote is teaching good people everywhere to learn the basics of healthy cooking techniques. The gift of health you can give yourself by using this knowledge is far more important than any of the delicious recipes you will learn to prepare. The culinary philosophy of this kitchen centers on cooking with fresh ingredients using simple, time-saving cooking techniques. You will learn how to prepare meals and snacks that are quick and easy. Helpful money-saving tips will even show those on the tighest budgets that eating better is not more expensive if you shop and cook intelligently. Special "how-to" features and toolkit pages will teach you the basics of better ingredient choices and substitutions. What you will learn in Stella's Kitchen can both inspire a bland "healthy" diet and satify that of the palette bent on destroying itself with unhealthy prepared meals, ethnic dishes and family favorites. ....about the decreased quality of life and increased cost of medical care (sick days, doctor visits, prescriptions, disease) that go hand in hand with a sedentary life style and a diet poor in nutrition and ask yourself if you can afford not to learn a little bit about making small changes in your kitchen. 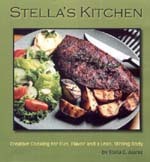 Stella's Kitchen is about more than teaching you how to cook delicious and nutritious meals. It's about caring enough about yourself now so you are able to enjoy a long, healthy, happier life. - Eat a diet higher in protein and nutrients than most people? - Need to watch your sugar or sodium intake carefully? 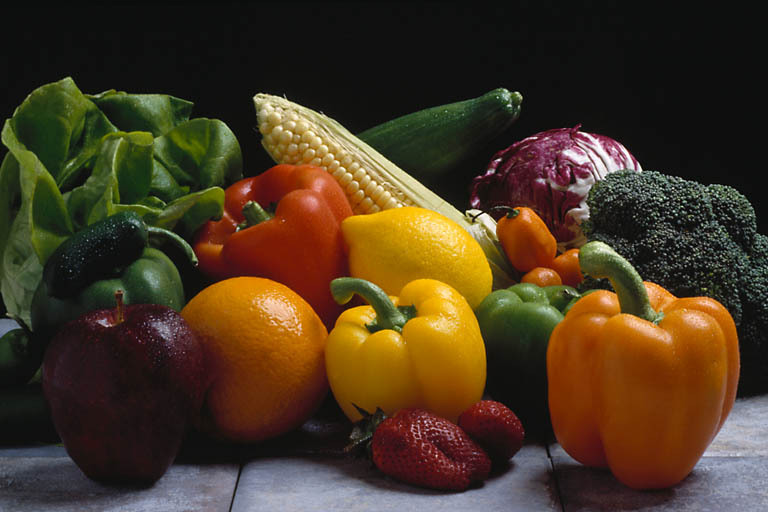 - Want to inspire your diet with healthy, flavorful dishes?